Thanks so much to Atria and Emily Bestler Books for these beautiful review copies! As I first started reading this, it reminded me of those intros in movies where you have the voice over and then it pans out into this magical story where you're lost for the next two hours, then back to the voice over that brings you out of your reverie and letting you know your visit is now over. That's precisely what I got! I had never read Setterfield before but when I posted about this book when I first received it, I was blasted with tons of messages about how amazingly good The Thirteen Tale is and how excited (and jealous) they were that I had a copy. Color me intrigued!!! Here's what's absolutely beautiful about this book (besides the cover): the beautifully written descriptions and way Setterfield brings the characters to life in your mind. The history between everyone you encounter, the mystery of the little girl found, Quietly and his passage on the River... Maud, the pig (boy do I think Maud should've received a little cover love but ahem...). I haven't read a book like this in quite some time. Because of the many characters that are introduced and the back and forth in time line to get the history of each one, there can be some confusion and it take a little bit to get it all sorted in your head. However, these pieces fall together like puzzle pieces and then you become intrigued and really feel like you become a part of them. My favorite? Mr. Armstrong (Sr.) - I could almost feel his calm cadence and what a GOOD man! 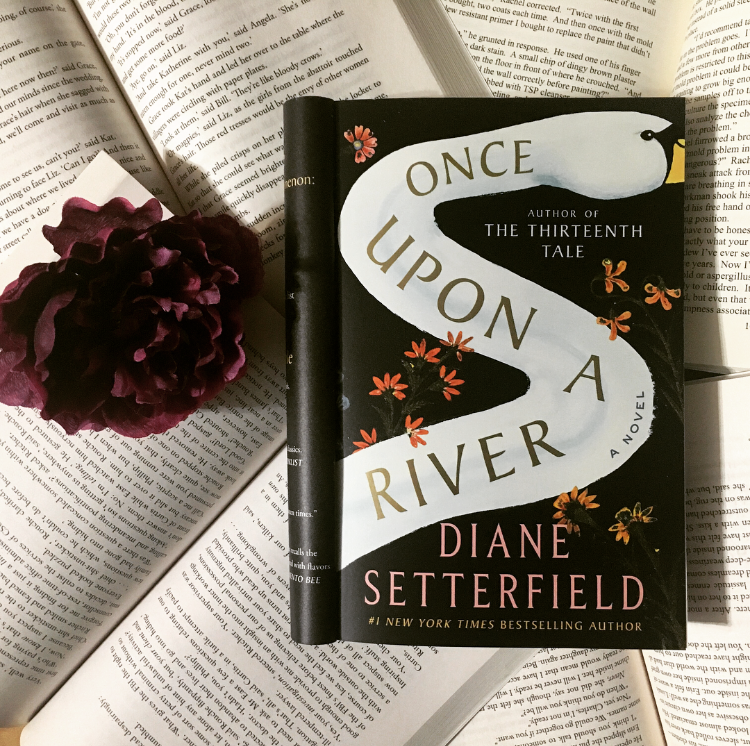 This was my introduction to Diane Setterfield - I had heard nothing but amazing things about THE THIRTEENTH TALE, so I was excited to start. I'll begin with saying, I couldn't believe how mesmerized and captivated I was while reading ONCE UPON A RIVER. Setterfield does an incredible job setting the scene, creating and fleshing out the characters, and this was beautifully written. 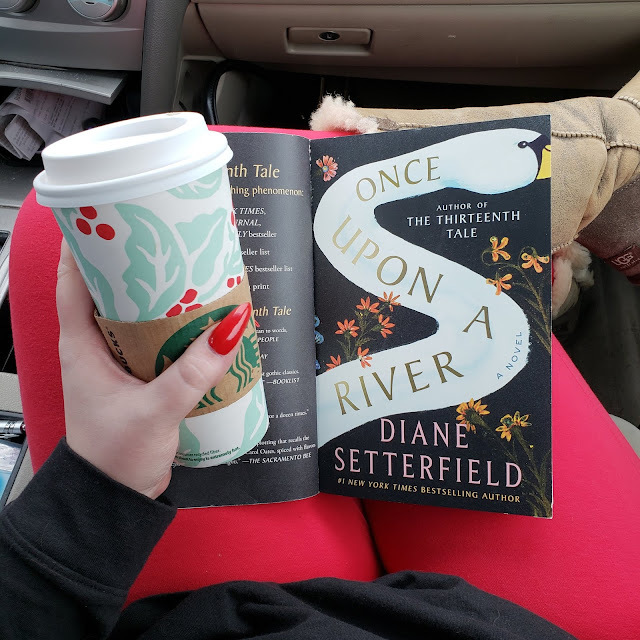 This is a book where once you start you won't be able to stop - not because it's a fast-paced read but because the author does a great job pulling you into the story. There are a lot of characters throughout the story, which can definitely get confusing a times. We also have some time jumps as they are introduced, but I will always be amazed at how authors have the ability to weave a story and have everything fall into place perfectly. I also enjoy when authors are able to develop a larger amount of characters so that you aren't stuck wondering, "why did they even bother with that character?". My only real issue seems to be one that a lot of other readers had, the ending for a particular character (Rita). No worries, no spoilers here. I know for a lot of fellow thriller and crime fiction readers this probably won't be what you're looking for. 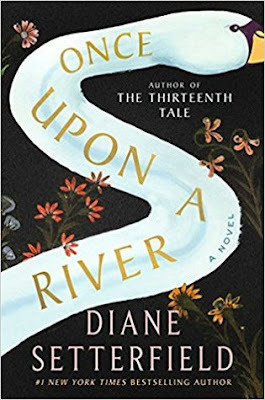 This is more historical fiction meets magical realism and has a slower pace to it. Setterfield's writing style is what pulled me in immediately and now I need to pick up her other books. If you're looking for an enchanting read to whisk you away, then you need this one on your TBR.